The Level 3 Student’s Book is for students ages eight to adult. 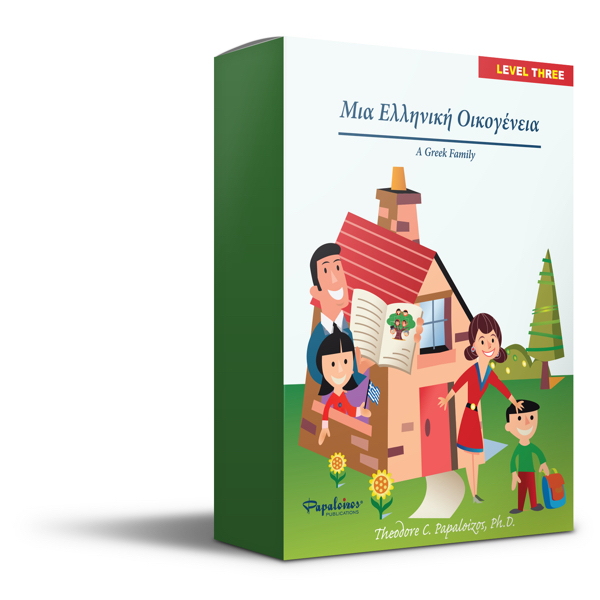 It introduces students to new vocabulary and expanded Greek grammar through readings about a traditional Greek family living in America. As the reader progresses the lessons become more complex. Reading topics include the Greek family, the 25th of March (Greek Independence Day), the Greek national anthem, Easter, dancing and other Greek customs and traditions.